Why is everyone talking about Alibaba? Because this private Chinese e-commerce company filed paperwork on Tuesday to begin selling stock to the public on the New York Stock Exchange, and analysts say it may be valued above U.S. tech giants like Facebook. What is Alibaba? China’s leading online shopping conglomerate, Alibaba Group has wriggled its many tentacles into almost all corners of the Chinese web. The bedrock of its business lies in two sites that handle different forms of e-commerce: Tmall (a business-to-consumer site often compared to Amazon) and Taobao (a consumer-to-consumer site similar to eBay). Beyond that, Alibaba plays a leading role in online and mobile payments, and other branches touch on areas such as cloud computing, search and group shopping. How many people actually buy stuff on Alibaba sites? 231 million per year, according to Alibaba’s filing with the Securities and Exchange Commission. 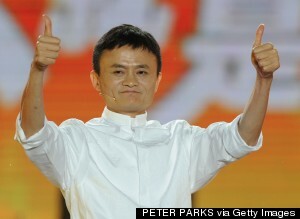 How much is Alibaba actually worth? Analysts estimate it could be valued between $150 billion and $250 billion, likely somewhere between Facebook ($157 billion) and Microsoft ($332 billion). Alibaba currently occupies 80 percent of Chinese e-commerce markets that are expected to more than double in the next four years, so the sky appears to be the limit for the company. But is it actually making any profits now? Despite having far lower quarterly revenue ($3 billion) than Amazon ($19.7 billion) and eBay ($4.3 billion), Alibaba roasted those two firms in profits: $1.3 billion compared to $100 million for Amazon and a loss of $2.3 billion for eBay. Is the site just an amalgamation of Amazon, eBay and Paypal rip-offs? No. Since its founding in 1999, Alibaba has always had Chinese roots, and it used indigenous innovation to beat foreign juggernauts in Chinese markets. 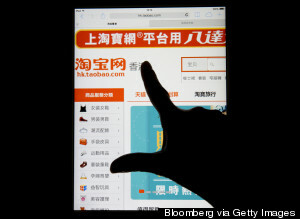 How has Alibaba shown that it's an innovative company? Alibaba uses instant online micro-loans to grow its vendor base and get around inefficiencies in China’s financial markets. By automatically analyzing data on revenue, transaction history, user ratings and more, Alibaba doles out hundreds of thousands of small loans to trusted vendors. That money goes to e-commerce entrepreneurs who are largely shut out of a banking system that caters to state-owned enterprises. Who is the brains behind the company? The founder and public face of Alibaba is Jack Ma, a former English teacher hailing from Hangzhou. Ma stepped down as CEO last year, but he reportedly maintains strong control and large ownership over the company. Charismatic, eccentric and spiritual, Ma is occasionally compared to Steve Jobs. Alright, that sounds good, almost too good… what are the risks for the company? From uncertain policy frameworks to a seemingly shady corporate governance structure, the Alibaba IPO has plenty to worry investors. As a private company pushing the boundaries of commerce and finance, there is always a fear that the state or state-owned banks will try to reassert dominance in a given sector. In addition, stockholders will not have a true say in the direction of the company, which is largely set by the “Alibaba Partnership,” a group reportedly made up of senior management. The New York Stock Exchange’s willingness to accept this unique arrangement is one reason Alibaba is heading to the U.S. rather than Hong Kong. Anything else I should know? Alibaba hosts a mass wedding of more than 300 couples every year on May 10, the company’s official “Ali Day.” It's a celebration to commemorate the perseverance of early employees during the depths of the SARS epidemic that shook China in 2003. Newlyweds, many of whom are beamed into the ceremonies over the Internet, receive a gift package including a wedding certificate personally signed by Jack Ma.